This might sound like I’m skiting (because I am), but today I picked two ripe passionfruit off the vine scrambling along the front of our stables. Passionfruit! In August! That surely warrants a bit of a skite, even though I can’t really take the credit for it. We’re just lucky to have had such a mild winter. 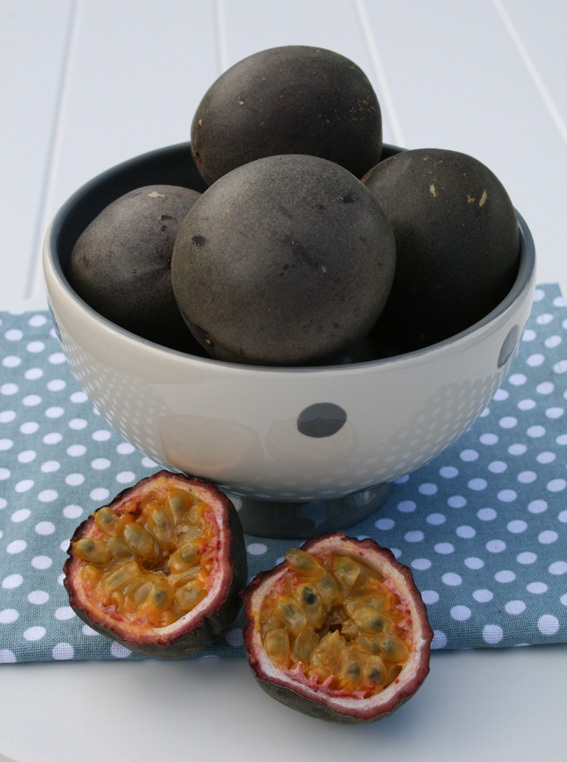 Click here to read my Good Life column on passionfruit, from the February 2011 issue of NZ Gardener. i am really impressed by your passionfruit success and like you, have killed a few vines – the last when it was bearing well – perhaps due to too much seaweed. I would love to acquire a grated vine of Chris Davidson and would like to know how to get in touch with him. Does he work at Oratia Native plant Nursery? Chris Davidson is actually the brother of Geoff Davidson (who owns Oratia Natives). You can contact him by phone: (021) 141 4729 or (09) 813 0229. He’s a top chap.